From Chugiak High School parking lot, turn north on Birchwood Loop Road, turn left on Birchwood Spur, turn around at rail road tracks and return to school. Course map on reverse side. Click here for a course map! * Race day bib pick-up is available starting at 8:00 a.m. for out of town racers or those who absolutely cannot make one of the pre-race bib pick-ups. We strongly encourage you to pick up your bib prior to event day if you live in town so you can ensure you get to the start line on time and relaxed. The big number should be placed over your lower right hip so your number will be visible to the timers at the finish line. Please do not wear a tri-belt for your bib. Helmet sticker must be worn by all riders on front of helmet. Please note that this is for the timers (not photographers), to ensure the most accurate results. The course is on Birchwood Loop Road, a paved road. Stay close to the shoulder, the road is still open to cars. Drafting behind another rider is not allowed. You should stay at least 30 feet behind the rider in front of you to avoid drafting. If you are faster than the rider ahead of you, move slightly into the roadway, quickly pass the slower rider, then return to shoulder of the road. Do not ride side by side! If you are riding with family or friends at a recreational pace, ride single file so cars will not be impeded and faster cyclists can safely pass you. Remember to be alert for cars. The yellow line rule is in effect, i.e. riders are not allowed to cross over the centerline of the road. Volunteers will be at the Birchwood Loop/Birchwood Spur intersection and at the turnaround stopping traffic. Make sure the volunteer waives you through the intersection. The timed finish will be on Birchwood Loop Road at the 45 mph sign just prior to reaching the north entrance back into the school parking lot. At the finish, you will be directed into a coned-off chute. After passing the finish line, immediately slow down. STOP and WAIT for a volunteer to direct you across the road back into the parking lot. You will re- enter the parking lot on the same small road you used at the beginning of the ride. Helmets: ALL riders must wear an approved (Snell, ANSI, or US CPSC) bicycle helmet. No exceptions! This is for your safety. Helmets must be worn at all times while on bike, even while warming up in parking lot. No iPods or MP3 players permitted. No child bike seats or bike trailers.Trail-A-Bikes are allowed but both riders must be registered participants. If you need assistance or feel ill before, during, or after the ride, immediately notify a volunteer. Volunteers will be wearing a safety vest. There will be volunteers in the staging area/parking lot, at intersections and along the bicycle course. Our permit allows us to use the parking lot, but we cannot access the school. Port-a-potties will be available in the parking lot. Limited water will be available onsite, please bring your water bottles filled. Water will not be available along the course. Results will be posted on this website on the Monday morning following the event. Please plan to attend the awards banquet on Monday, May 6th, 7:00pm at Chain Reaction Cycles, 1148 Huffman Road, Anchorage. Food and beverages provided by the Arctic Bicycle Club. Plus cool giveaways! 50 - 54, 55 - 59, 60 - 64, 65 - 69, 70 - 74, 75+. BIB TRANSFERS--Don't even think about it! 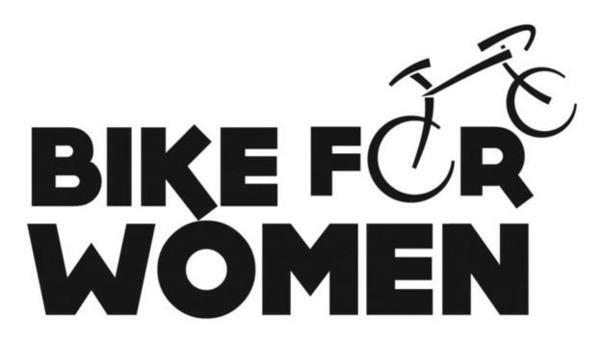 The Bike for Women does not allow bib transfers or refunds. In addition to legal and administrative factors, it would be unfair to allow someone to transfer a bib to a friend after the event sold out in a short period of time. We get the question often if someone can register or transfer a bib and they too have all been denied. We appreciate your understanding and hope you will register for next year's event. Be Safe! Be Healthy! Have Fun! MAY 5, 2019 - 9:30 a.m.